The Aura is a truly unique piece of art crafted to excellence. But this high priced luxury item is low on tech. What we have here is style over substance but style of the finest order. The Aura is easily one of the most splendid looking phones in the market today. Not only does it have an unusual form factor of swivel design but it also sports a true-circular display that's a first for a phone. 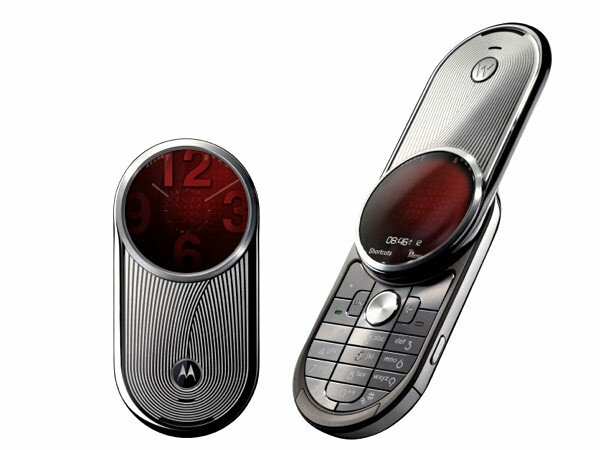 The exteriors of the phone are made from stainless steel and are etched and polished to finesse. Apparently this etched design on the front takes about 2 weeks to accomplish, that includes stamping, deburring, sand-blasting, electro-polish and chemical etching. Apart from the exquisite design on the front, the other feature that catches the eye is the circular display. Now there have been circular displays before, but those phones had rectangular screens housed inside circular glass; this time it's for real. The display produces an incredible 16 million colours with a resolution of 480 x 480 and a picture density of 300dpi. Add to that, the screen is housed under a grade 1, 62 carat sapphire crystal elliptical glass that's scratch proof. This elliptical glass also behaves like a lens, making the corners of the screen more distant (or rather the centre of the screen more magnified.) The overall effect is absolutely a charm to the eyes. 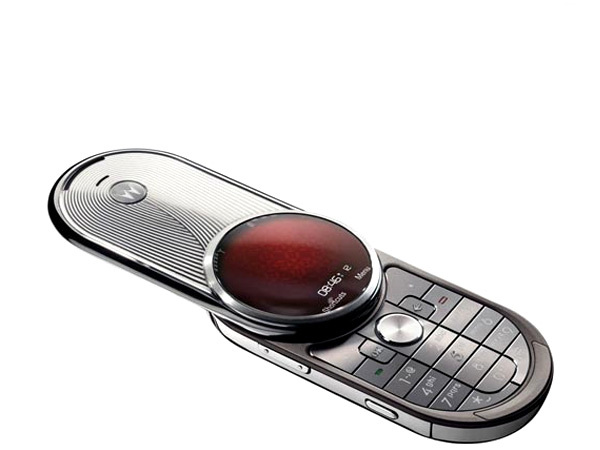 The other unique aspect of the phone is the assisted-opening blade mechanism that makes the phone swivel open and close. It is Swiss made and consists of over 200 moving parts including 130 bearings. In addition to this there are 700 individual parts. To make certain that the mechanism does not spoil with repeated usage, the gears are made of Rockwell 50-50 hardened steel and coated with tungsten carbide and the screws holding it all together plated with nickel chrome. The opening of the swing-blade is a very delightful experience and can be done by a gentle push of the blade to either side and single handed operation is possible here. Portions of the mechanism are exposed at the back through the camera window. 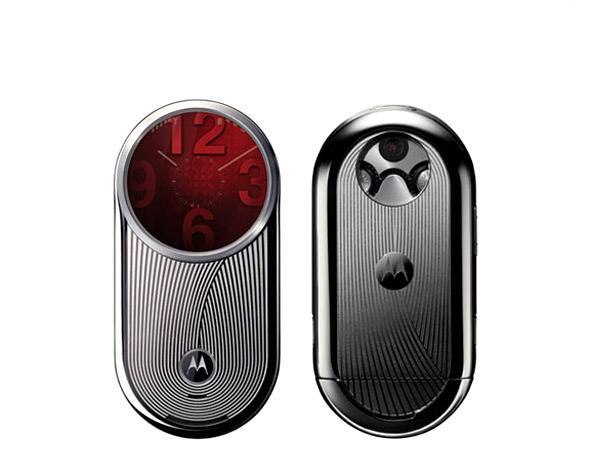 The phone is designed to remind users of classic luxury pocket watches. While the phone sports a very unique and well thought out exterior architecture, inside the phone is low on features. In fact, the phone's unique design has a negative bearing on the usability and practicality of the phone. The circular screen can take much of the blame for this. For instance, the items on the menu screen are arranged like the numbers on the face of a clock. And scrolling through items must be done by pressing the right and left buttons of the D-pad, doing so makes the menu rotate clockwise and anticlockwise respectively, and the item that is currently in line for selection moves to the centre of the screen. Since this is the only way to get across the menu, it can at times be tedious. Viewing websites on this circular screen is also not a very good idea. Lastly, the circular screen can make the camera experience very irritating; when you view the subject through the viewfinder, what you're seeing is a very restricted portion of the actual photograph. The photograph is rectangular and will include 'extra' detail surrounding the subject that you framed in the viewfinder. Browsing through photos isn't a remarkable experience either; photos are rectangular and scaled down to fit the screen. Not that the camera is great to begin with: offering a resolution of only 2MP, the colour representation is far from accurate and noise levels are high. The camera application offers basic functions like multi-shot and self-timer. The camera also has a noticeable shutter lag; this coupled with the awkward OK button combination will surely result in some shaky photographs. Video quality is so poor it does not warrant description. The aluminum keypad also sports high-quality workmanship sporting a mirror polish finish with PVD coating. Furthermore, it is flat; each key is nice and large but offers almost no tactile feedback. The D-pad is a little too small for comfortable operation; also it does not itself behave as the confirmation key. There is an 'OK' key to the left of the D-pad that is tasked for the operation but the awkward combination of navigating with the D-pad and manipulating the OK button which is separate and away from the D-pad is quite disorienting, or at least it will take some time getting used to. 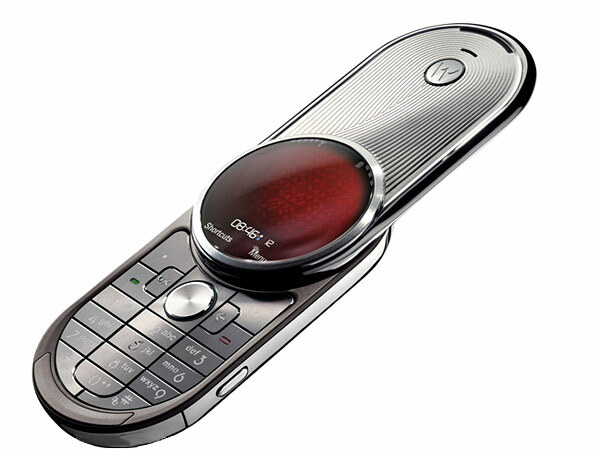 Telephony is of course first class, and like most Motorola phones, the Aura features the proprietary CrystalTalk technology that offers excellent call-reception and call quality. Coming to the phone's features, there isn't much except for the usual. The music player is of passable quality but users will have no option but to use the bundled headset, browsing through pictures is a nice experience thanks to the wonderful screen. While tech-geeks may argue that the phone's not worth the price because of the lack of good features, it's just that, the phone isn't trying to squeeze everything under the sun into its swiveling form; it's just a phone and a very good one at that. It makes calls and it does it with a lot of style, though to many it's still just a round peg in a square hole.